Video Splitters not only duplicate a single video source to multiple outputs, but also boost the signal so it can be sent over longer distances without degradation. Multiple video splitters can be cascaded to three levels to provide a high number of displays in multiple locations. Models with audio functionality are available. 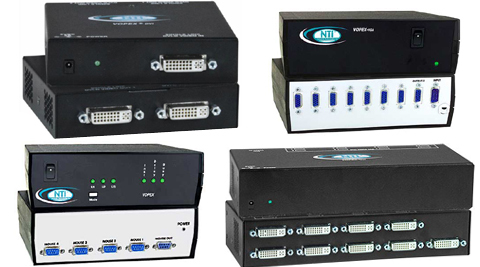 Video splitters are ideal for public broadcasting, computer stores, classrooms, training facilities, and digital signage applications.